We show how to translate interaction protocols in AUML to equivalent Petri net specifications. A novelty of our approach is that the Petri nets are modular, clearly separating the protocol from the interaction behaviour of agents induced by their participation in the protocol, yet compositional. 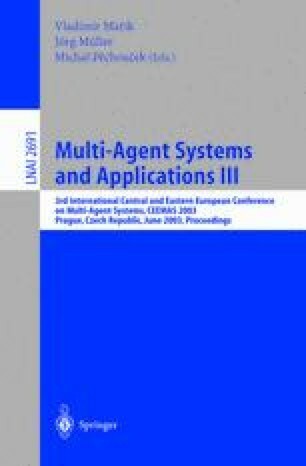 Our model can serve at least two purposes in multiagent systems engineering: firstly, specification and verification, and secondly, as a basis for synthesising skeleton code of interacting agents from specifications in the spirit of interaction-oriented programming.